This is a moving tribute to Nelson Mandela, who died in December 2013. Maya Angelou wrote a loving poem about Mandela's grace and his influence in the world. The book includes several sepia-toned photographs of Mandela throughout his life, and it makes a beautiful 44-page memorial. 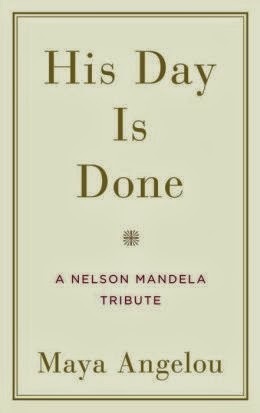 Nelson Mandela's day is done. Through which no traveler returns." When Mandela was released from prison, Angelou writes that the world was watching "as the hope of Africa sprang through the prison doors." Diminished by twenty-seven years of imprisonment. Where formerly he was not even allowed to vote." "We will not forget you. We will not dishonor you. That you lived among us." The poem and photographs are a lovely tribute, but I think the book would have been improved if it had included a short biography of Mandela. 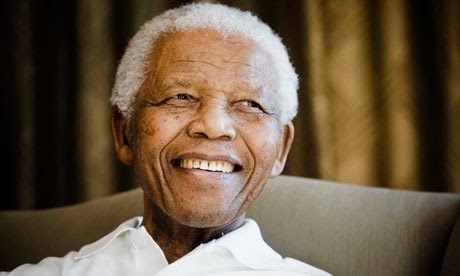 I do plan on reading his autobiography, "Long Walk to Freedom," but I think there was a missed opportunity with Angelou's book in not including a few pages explaining Mandela's extraordinary life.